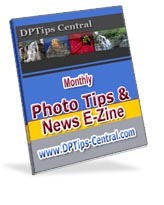 Welcome to DPTips-Central.com - the Online Place for Digital Photography Tips for Photographers of All Levels. Whether you are a beginner in desperate need of direction on how to improve your digital photography, a keen photo enthusiast , or a professional photographer, you will find helpful digital photography tips and techniques, discover inspirational ideas and tons of practical advice. understand way to encourage you to continue learning. We take the view that the technical side of photography is a mean to a visual end. The technical know-how skills mean little on their own but knowing them frees you to concentrate on your photograph's content and meaning. We will show you ways on how to develop your awareness of the way lighting and viewpoint in digital photography can transform appearances as well as other composition techniques for improving your photography. Seeing and organising your picture is as important as the technical knowledge and it comes with practice. Follow our Picture Assignments for a helping hand in this area. If you are at that more advanced level, you will find useful the Photo Advanced section filled with practical advice, direction and creative ideas and tips. Are you looking to expand your background knowledge on the history of photography ? Interested in exploring the works of the masters of photography and in the process getting an inspiration for your own projects? Follow the featured Masters of Photography section. 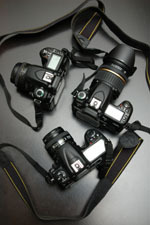 Still uncertain on the advantages digital photography can offer? Confused about which camera to pick and what accessories/equipment to buy with it? Do you want to clearly understand and master the digital photography workflow? Our Monthly Photo Tips and News Ezine brings even more photo tips, techniques and information to benefit and inspire photographers of all levels as well as keeps you up-to-date with latest news from the world of digital photography. Sign up and we will also give you a FREE Essential Guide to Buying Camera and Other Equipment which you can download right away! Are you passionate about digital photography, do you have a tip or idea to share to help others improve their digital photography ? To submit your contributions please email us via our contact form below.